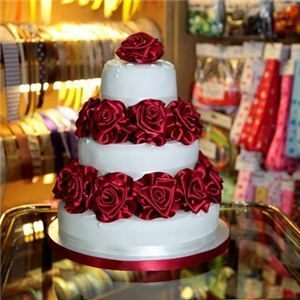 This double face satin ribbon is a dream to work with, so soft and makes delightful flowers. Colourfast so suitable for garments. We can source other colours to match wedding themes, please send fabric/colour swatches to us with our sample form here.